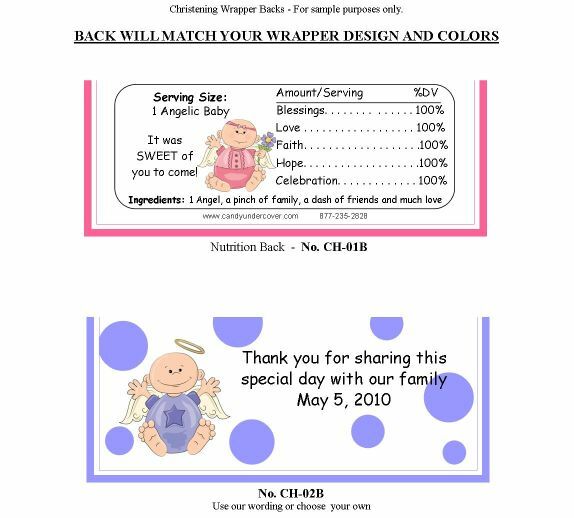 Our Baby Boy Christening / Baptism Candy Wrapper is too cute! The baby blue color is so classic, and the stars just make it shine. Your guests will love this awesome party favor treat. Chocolate is the ultimate favor and our candy bars will be the hit of your party! Order the fully WRAPPED CANDY BARS. We will do the work for you! Your Christening or Baptism Candy Bar Favors will arrive to you all ready to pass out to your guests.